Lord, today we are thankful for good news from Durango state in Mexico! 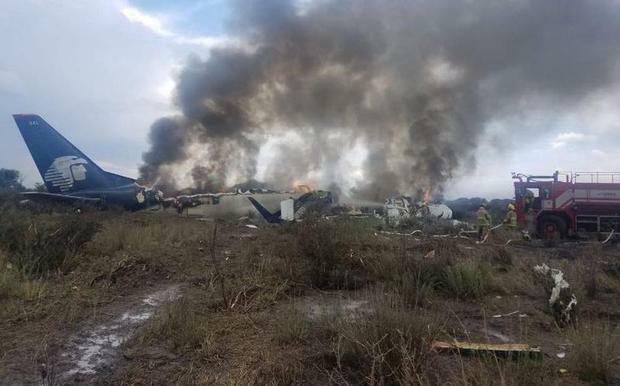 We rejoice that all 103 passengers on the crashed Aeromexico flight have survived! We are deeply grateful. Lord, we do pray for those who are injured, most significantly the pilot, who took the brunt of the crash. We pray for excellent medical care and encouraging support from loved ones along the entire road to recovery. Again, we are thankful for good news in the midst of all the disheartening things happening around our world. May this encouraging news put a spring in our steps today. In Jesus’ name we pray, amen.